Christiane is a highly qualified female Specialist in Obstretrics and Gynaecology who had been trained in Australia and Austria. She received O&G accreditation in both these countries, and also holds a GP diploma. Christiane has been working in the Sydney South West area for more than 10 years, across a number of high-risk hospitals and labour wards. In addition to consulting patients in clinics and performing operations in the public and private sectors, her focus has always been on ongoing education, patient-oriented communication and teaching of younger colleagues. 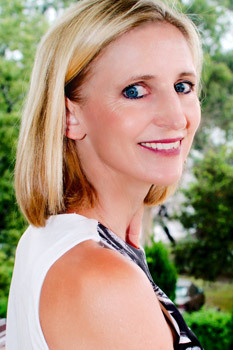 Working at Campbelltown public and private hospitals over the past 6 years gave her the opportunity to achieve high level expertise in general Obstetrics and Gynaecology, but also got actively involved in updating hospital policies and guidelines as well as supervision of students and junior registrars. She possesses strong experience in all areas of her field, with particular strengths in management of high risk pregnancies and labour as well as treatments of benign gynaecological conditions, including miscarriage, ectopic pregnancy, menstrual disorders, ovarian cysts, endometriosis, menopause, cervical and vulval diseases. Being a mum of three young children herself, Christiane has a holistic and understanding approach when caring for her patients’ health and wellbeing at every stage in their lives. Personally she takes great interest in healthy nutrition, physical exercise and finding balance through Tai Chi. Christiane obtained her medical degree in Austria from Karl-Franzens-University Graz, and completed her GP education in 2003. She received O&G accreditation in Austria in 2008 and was awarded with the Fellowship of the Australian and New Zealand College of Obstetrics and Gynaecology in 2014.